I have experience of working with adults and young adults over 16. CBT is a particular therapeutic approach developed in the 60’s thanks to the merger of theories coming from Cognitive Psychology and Behavioural Psychology. 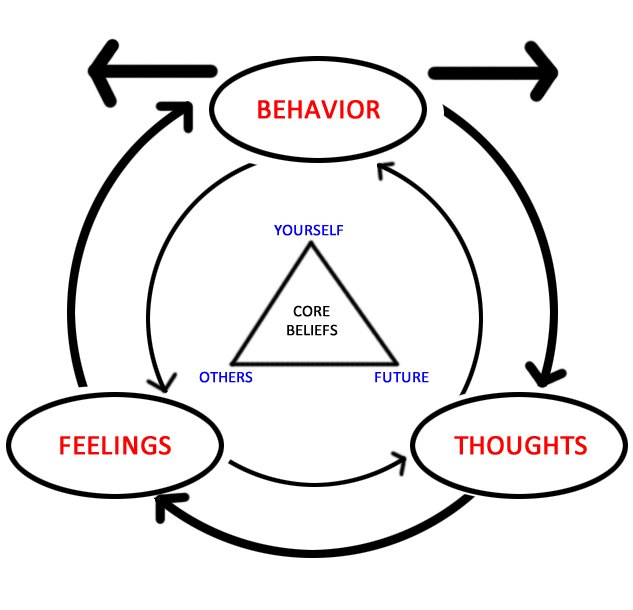 CBT has quickly become the most recommended first-line approach to treat a wide variety of psychological issues. Indeed it’s effectiveness is supported by extensive empirical research, that makes it one of the most powerful evidence-based interventions in the field of psychotherapy. We strongly believe that our thoughts, behaviours and emotions are constantly influencing one another. The special and unique way we use to interpret the things happening to us, has a very strong influence on how we feel and on how we will react to them too. Indeed even in distressful situations, it’s not the situation itself creating distress but the specific interpretation we choose to adopt. Our thoughts and beliefs are usually rooted in our past experiences from which we have inferred our knowledge regarding how the world works and what we need to expect. But sometimes it can happen that these beliefs and expectations are applied in a rigid, inflexible and generalised way, creating distress. Consequently, therapy will aim to recognise and change those beliefs causing distress and those particular behaviours that can maintain or worsen the problem. Its efficacy is internationally recognised: extensive research data have shown CBT’s effectiveness in treating several psychiatric disorders. It’s active: the patient is actively engaged in the therapeutic process. Depending on the particular case, the patient can be asked to do practical exercises in between sessions, such as filling diaries or forms. Being focused on clear and shared aims, CBT tends to be a short-medium term intervention. It’s based on patient-therapist collaboration: the patient is the unique real expert of his internal world; the therapist is a guide in his inner journey of discovery and change. CBT can be used for almost all kind of psychological difficulties, as it is a specific way of approaching mental problems.